Some models, like Rosie Huntington-Whiteley, execute their complicated skincare routines with military precision. Then there&apos;s Emily Ratajkowski, who takes an extremely laid-back approach. "As I got older I realized that you can just have five things that you love and a simple routine that you stand by," she told Into the Gloss. "Then, you don&apos;t ever have to think about it. Everything that I have, I use on a daily basis." Close-up of Emily Ratajkowski&apos;s skin. And could her skin be any more flawless?! Here&apos;s what&apos;s involved in her surprisingly no-frills routine. Kiehl&apos;s Calendula Deep Cleansing Foaming Face Wash: "Right now, I&apos;m using Kiehl&apos;s Calendula Foaming Face Wash."
By Terry Cellularose Baume d&apos;Eau: "Then I put on moisturizer. A lot of moisturizers, they don&apos;t absorb into your skin quickly enough, but this one seeps in right away." 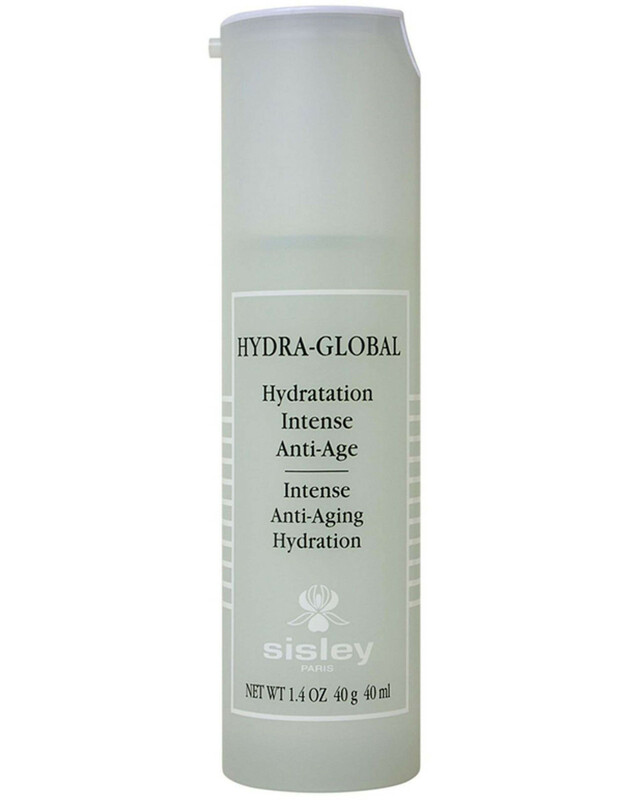 Sisley Hydra-Global Intense Anti-Aging Hydration: "I also like Sisley Hydra-Global. It smells so good." Charlotte Tilbury Charlotte&apos;s Magic Cream: "I use a little Charlotte Tilbury Magic Cream mixed in with Glossier Perfecting Skin Tint." Glossier Perfecting Skin Tint: "During the day, I use Glossier Perfecting Skin Tint. I&apos;m using the dark colour because I have a bit of a tan. I&apos;m not sure it really covers much, but it evens me out." Make Up For Ever 5 Camouflage Cream Palette Color Correct & Concealer: "If I need any spot coverage, I use Make Up For Ever 5 Camouflage Cream Palette. I found it one time that I had a huge casting, and I had a bad breakout. The night before, I did terrible things to my face, and I woke up and emailed my agent and said &apos;I cannot go to the casting.&apos; It was an important meeting. She said, &apos;You&apos;re crazy. They already know what you look like. It doesn&apos;t matter if you have a zit.&apos; But I thought it was terrible, so I went to Sephora for help and they gave me that palette. It saved my life. I have a brush to apply it with, but it&apos;s easier to blend with my finger. I can use it under my eyes, too." Eucerin Aquaphor Healing Ointment: "I put Aquaphor on my lips. When I want my skin to look really dewy, I&apos;ll put [it] under my eyes at night. It just makes my skin feel firmer and moist. It&apos;s especially good when I&apos;m travelling, to keep my skin from drying out and over-producing oil." Glossier Soothing Face Mist: "To finish, I like to spray the Glossier Soothing Face Mist to set my makeup." L&apos;Oréal Paris Gentle Makeup Remover: "If I need makeup remover, I use this L&apos;Oréal eye makeup remover that my mom introduced me to years ago." Sisley Cleansing Milk: "Right now I&apos;m using Eyeko&apos;s Black Magic Drama & Curl Mascara. The Sisley cleansing milk takes it off really well." Resurface by Shani Darden Retinol Reform: "[The product I&apos;ll splurge on is] Shani Darden&apos;s Retinol Reform cream." 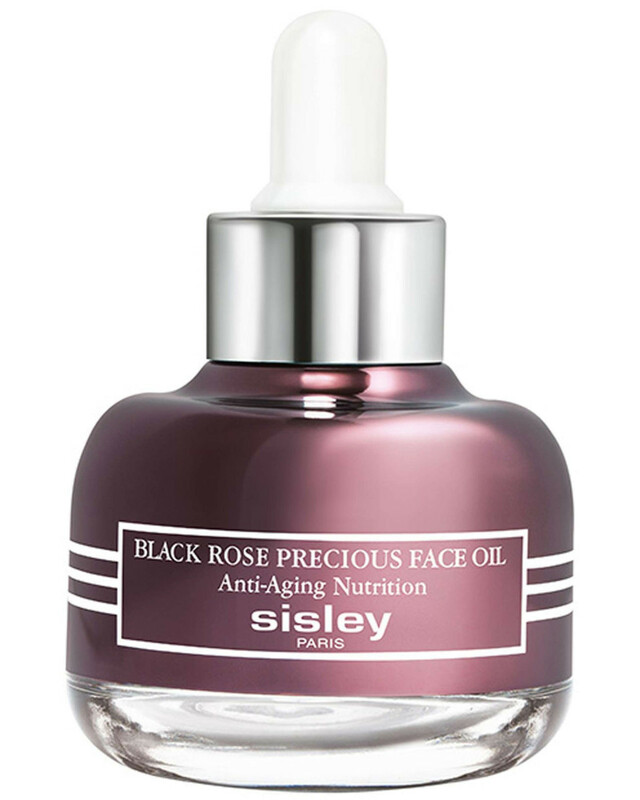 Sisley Black Rose Precious Face Oil: "At night, I might add the Sisley Black Rose Precious Face Oil, which is also about the smell—this gorgeous rose." Glossier Mega Greens Galaxy Pack: "When I’m travelling, I&apos;ll bring [this] along. It&apos;s a mask, and I put it on after a flight. When I get to the hotel, I put it on for 20 minutes, and my skin feels so much better." Sisley Express Flower Gel: "If it&apos;s a long flight, I&apos;ll wash my face before sleeping and put [this] on. It&apos;s a mask that you don&apos;t have to wash off. It&apos;s perfect for the plane." Natura Spa: "I&apos;m pretty terrified of facials. My big treat is that once a month I go to a Korean spa. I usually go about 40 minutes before my appointment, and you can get into all these different pools. Then you get a body scrub, and you&apos;re lying there naked with 20 other women. They just treat you like a piece of meat, but it&apos;s worth it. Then you shower, and I like the acupressure massage. Those ladies are strong! They even put grated cucumber on your face. Afterward, my skin is so soft, and I always sleep so well that night." "You know, I&apos;m a carnivore. I really like to eat meat. I crave iron so I am definitely not the kind of person who you will find eating a salad. I like to keep it really balanced to give my body energy and also be healthy. I cook a lot, so that really helps: You know how much salt and sugar and all of that kind of stuff you are putting in your body. I think it is really important to give yourself a break. And also just really think about where things are coming from and what kind of ingredients are going into your body." "I don&apos;t have a trainer, and I don&apos;t really go to the gym. I go on long walks and hikes with my girlfriends. That&apos;s about it." Thanks to the New York Times, Into the Gloss, Harper&apos;s Bazaar, Elle and InStyle. What do you think of Emily&apos;s skincare routine?